"Carl Edwards, driver of the #99 Subway Ford, practices for the NASCAR Sprint Cup Series FedEx 400 benefiting Autism Speaks at Dover International Speedway on June 1, 2012 in Dover, Delaware. Edwards finished the race in 26th." 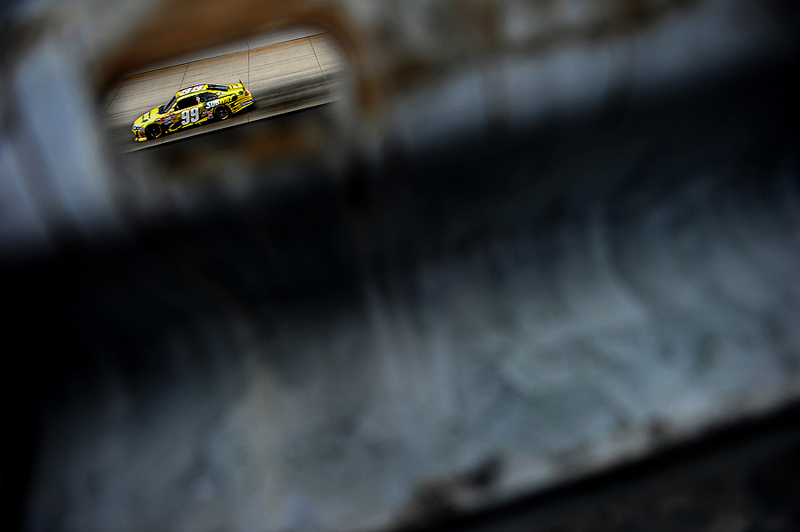 This past weekend, I was fortunate enough to cover some NASCAR action with the Getty Images NASCAR team. Three days of solid teamwork came to an end when Jimmie Johnson took the checkered flag in the NASCAR Sprint Cup Series: FedEx 400 benefiting Autism Speaks on Sunday. After two prior days at the track, seeing and shooting a bit of everything, I was looking forward to the big race. It didn't take long for the action to begin, only nine laps into the race, a massive 13-car accident took out multiple drivers including defending Cup champion Tony Stewart. Being pitted in turn three, the crash, which occurred out of turn two, was in front of me, but a bit far out to be compelling. Yet it was documented. From that point on, there was no more clashing of cars, but Jeff Gordon did his best to make the race an interesting one for a good while. Like any sport, NASCAR is unpredictable and a challenge. I had a blast at the track and had a good time working along side a good group of talented motorsport photographers. It will be exciting, knowing what I know now about the track, to get back out there later this year.